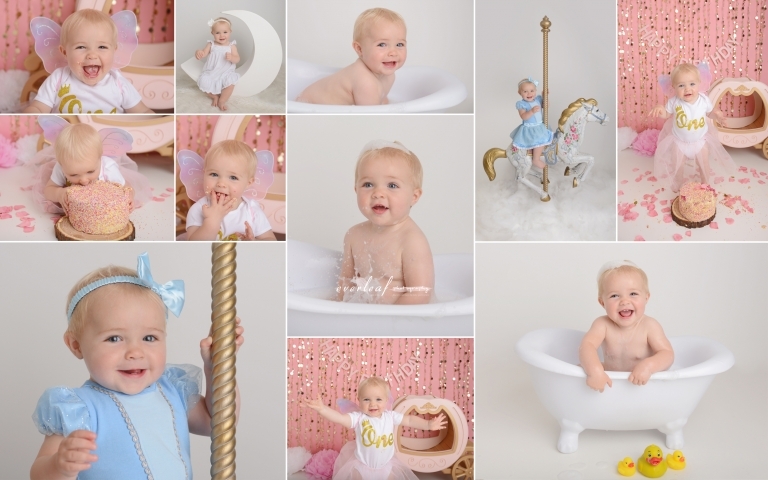 Simple and clear pricing, baby / birthday cake smash / child sessions starting from only £95 including digital images. We provide a private online gallery 7 days after the photo session day for you to view and choose the best images at your convenience with no pressure sales involved. To book your session, click ‘BOOK YOUR PHOTO SESSION TODAY’ button and we will contact you within 24 hours for a £50 deposit payment. If you would like to visit our studio in Cheshunt for a pre-shoot consultation, call or email us to schedule an appointment. CLICK HERE TO BOOK YOUR PHOTO SESSION TODAY! ~ £345 including digital images, 2-24 months old. Fist smile, tummy time, sitting up, crawling, walking etc. 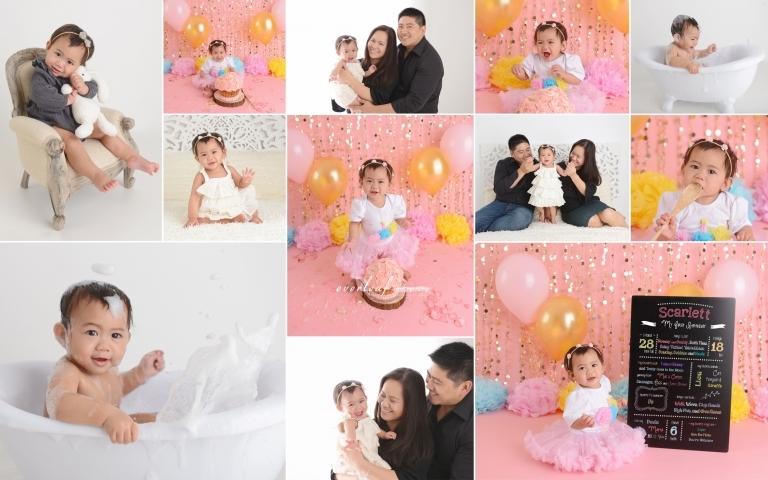 Our goal is to capture those precious memories for you to treasure for a lifetime! 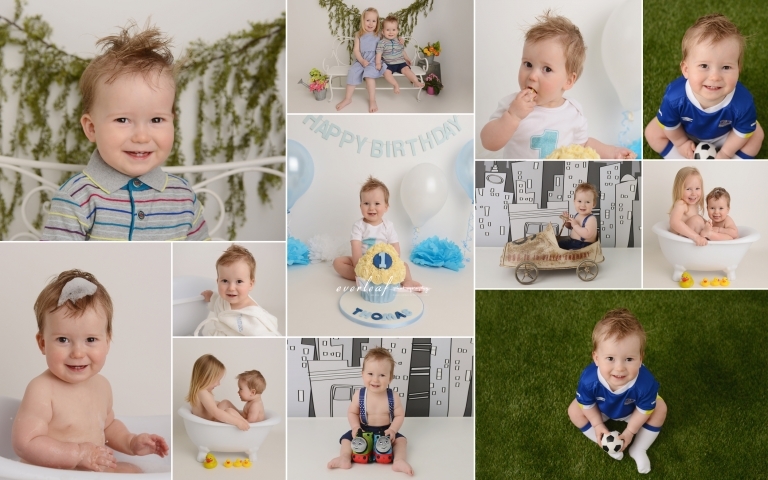 ~ Only £195 including all gallery digital images and custom cake, birthday and bubble bath portrait. The best age is around 3-4 months when babies have good head control. The next best age is between 6-8 months when baby is able to sit up unassisted but not yet crawling. Also, 11-13 months to celebrate his/her first birthday! Additional milestones are at 18 months and 2 years old. 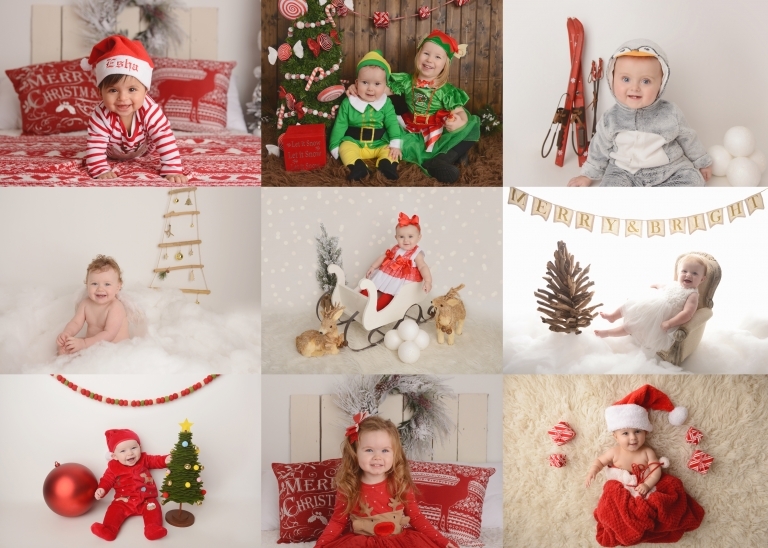 We also offer seasonal mini session such as Christmas and Easter for 0-10 days old. We often receive emails from clients asking what equipment we use and the props we have in our studio. It is important that we use professional equipment to achieve professional quality studio portraits using unique and adorable newborn props. Here is the current gear we use and love. Newborn props: We have 100’s of large props plus many blankets, wraps, layers, backgrounds and headbands/hats accessories. Here is a 1/3 of our large prop collection. 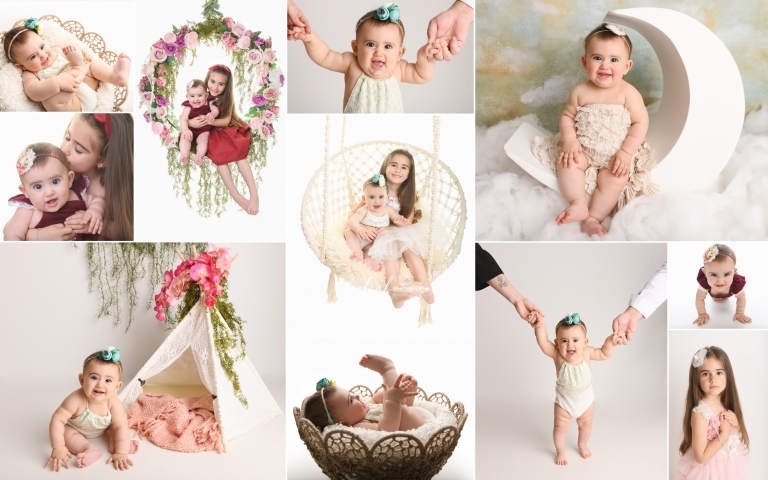 They choose us because we use a variety of styles within the art of newborn portraiture. 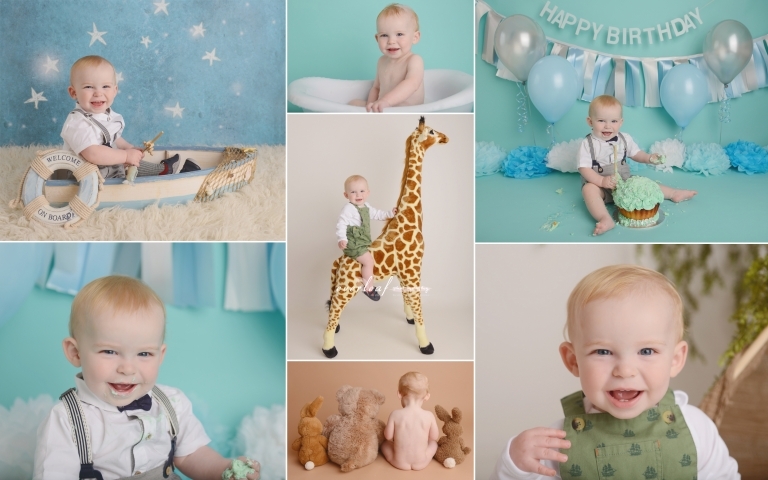 Wether you love simple, natural and organic images or pop, colourful and fun newborn images, we are able create for you. We have a huge collection of props for staged / posed portraits. 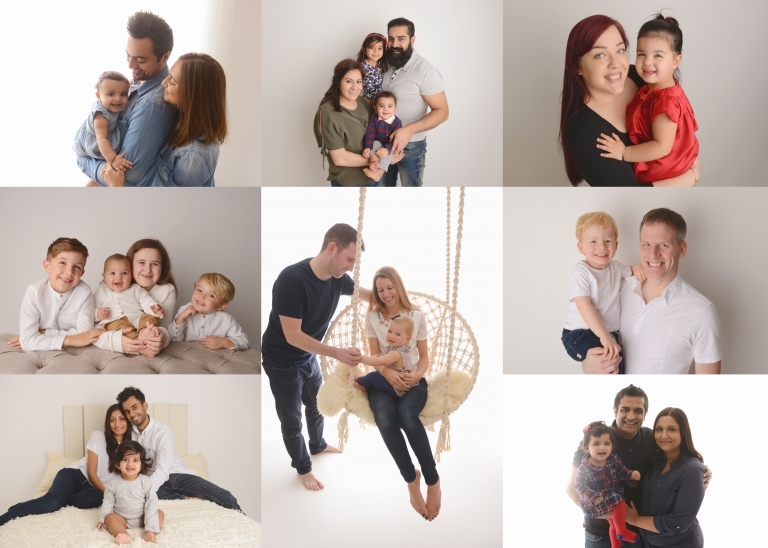 Our studio has features such as double bed, large window, white walls and floor for lifestyle portraits or simple backgrounds for family portrait. We photograph what you want and are happy to incorporate your own special memory items so your final gallery of images will be absolutely perfect to match your own style and bring back emotional memories for the rest of your life and beyond. 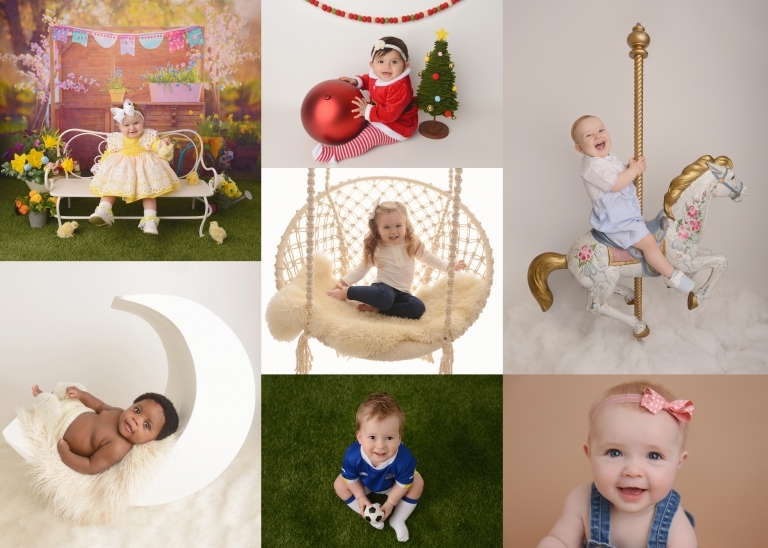 They choose us because we have a professional studio and every one of our customers love our clean and spacious newborn studio once they enter. It is important for us that you are comfortable during the session and have easy access to the nearest shops to pop out to grab lunch. If you have siblings, we have a lovely cafe just across the street with children’s play area. Dad or nana can take busy toddler to the cafe while we concentrate on the newborn photography. Many of our clients travel from London, Essex and Kent by car and we have a secure dedicated parking space just behind our studio. They choose us because we offer fixed pricing including digital images. Our customers can set a budget from the start and stick to it choosing their images and products via an online gallery in the comfort of their home or office using computer, mobile or tablet with absolutely no pressure sales! YOU will choose your set ups during the session for us to take and YOU will choose your images after receiving the online gallery for us to deliver. Additional set up requests or additional images or product purchases are totally up to you. 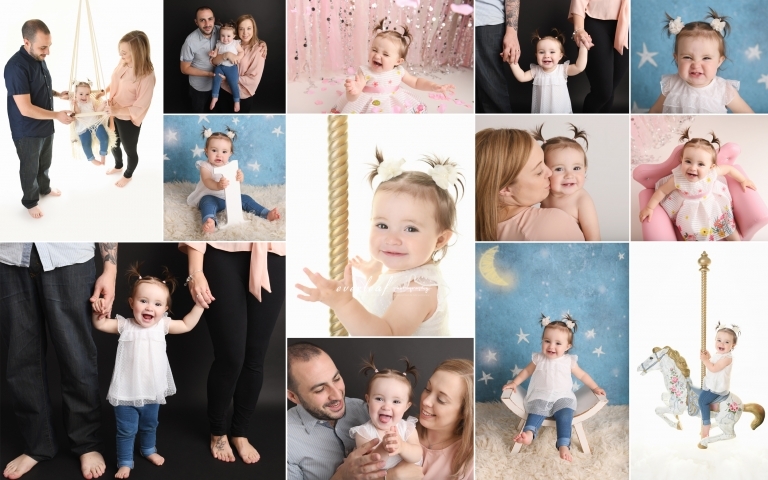 They choose us because they heard so many nice things about us from their friends, family or work colleges who came to our studio for their newborn / baby sessions. 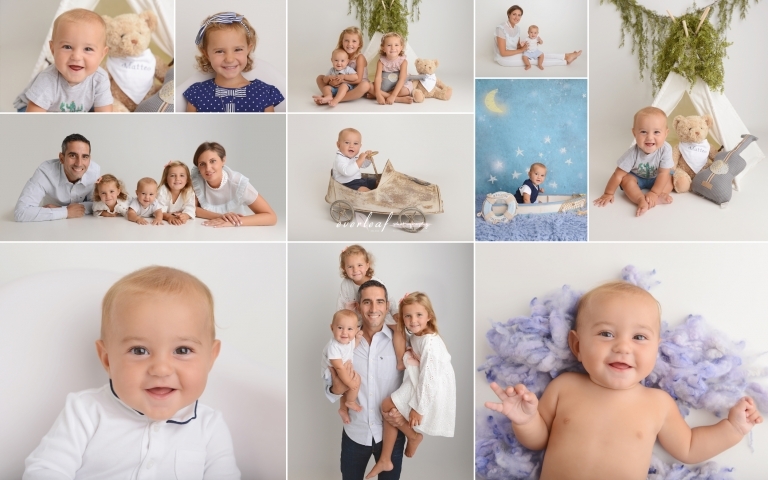 We have many return clients who choose to come back with their second and third baby and also many come back for our outdoor sessions for family portrait and Christmas mini sessions. We would love to become your family photographer too. They choose us because of our customer service. 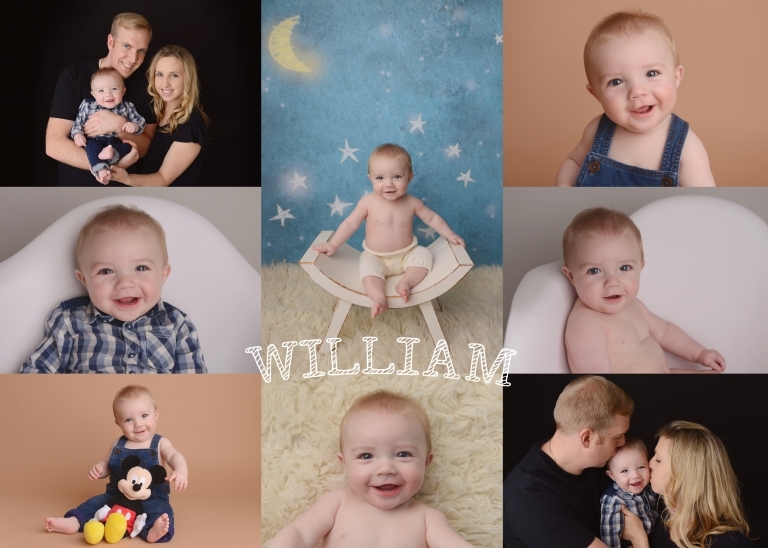 As a husband and wife team we take great care towards our clients and are happy to help anyone who is not sure about the newborn photography process. Andrew will answer any questions you might have before the session and he is more than happy to help you prepare beforehand to ensure your shoot goes as smoothly as possible! We also offer a pre-shoot consultation at the studio to make sure you know what you can expect for your session. 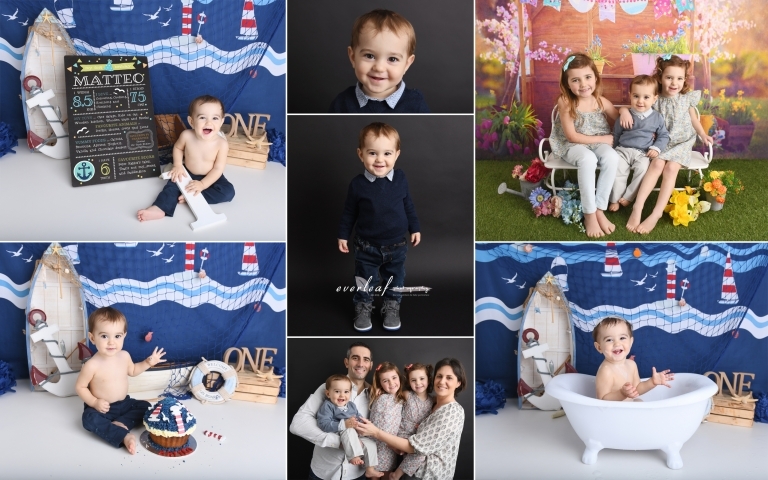 Emi will ensure your comfort during the session and will guide you to to help photograph perfect family and parent poses and she will deliver fully edited images by zooming in up to 200% so that all of the details in every image is absolutely perfect.